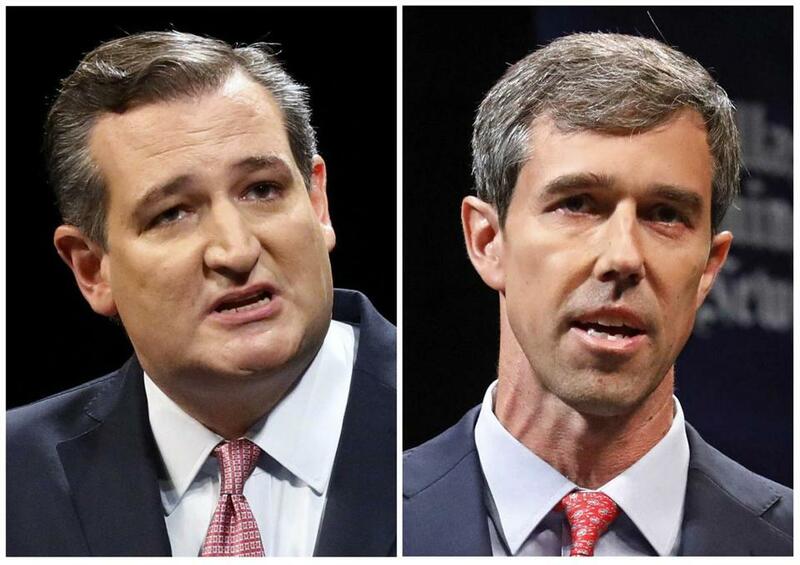 In Texas, Ted Cruz (left) is being challenged for his US Senate seat by Democratic representative Beto O’Rourke. 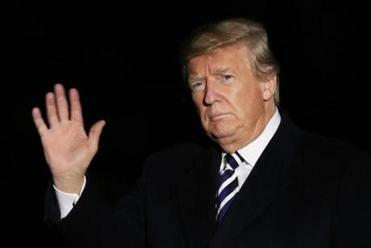 Unlike presidential elections, it is usually quite easy to predict who will win the midterms. Despite the role of local issues and candidates, they are in large measure referendums on the president’s job performance and, as such, perfect opportunities for Americans to display their characteristic fickleness. Having elected someone president, Americans are collectively ready to punch him on the nose after just 24 months. The president’s party has lost seats in every midterm election since 1946, with just two exceptions: 1998 and 2002. In the nine elections when the president’s approval rating was below 50 percent, his party lost an average of 37 seats. Even in the nine midterm elections when the president’s approval rating was above 50 percent, his party still lost an average of 14 seats. The only two presidents who saw their party gains seats — Bill Clinton in 1998 and George W. Bush in 2002 — were exceptionally popular at the time. So you think President Trump is exceptionally unpopular? Stop watching CNN. Actually, his current 43 percent approval rating lands him squarely in the middle of the league. He’s less popular than Lyndon Johnson in 1966, Jimmy Carter in 1978, Clinton in 1994, and Barack Obama in 2010 and 2014. But Trump is more popular than Harry Truman in 1946 and 1950, Reagan in 1982 — amazing, isn’t it? — and Bush in 2006. On Tuesday, Democrats need to win 23 seats to retake the House. Looking solely at Trump’s approval rating, you would expect them to win up to 41, but allowance needs to be made for the Republicans’ recent gerrymandering of district boundaries, which should help them hang on to around five seats that would otherwise flip. President Trump’s closing argument is now clear: Build tent cities for migrants. End birthright citizenship. Fear the caravan. Send active-duty troops to the border. Refuse asylum. Another way to read the tea-leaves is to look at the popularity of the two parties themselves, as revealed in the generic ballot. Since 1950, a victorious party has never trailed by more than 4.5 percent in the week of a midterm election. Republicans are currently behind by 8.5 percent. Democrats also lead in terms of fund-raising, by roughly $1 billion to $700 million. The average Republican challenger in 2010 had double the campaign donations of the average Democratic challenger. This year, according to the Campaign Finance Institute, the average Democrat has seven times more money than the average Republican. To their dismay, Republican candidates have found that last year’s tax cuts are a vote-loser. Their hasty shift from economic issues to cultural issues — from immigration to identity politics, from “Yet more tax cuts!” to “The caravan is coming!” — has not sufficed to stem the blue tide. So why is the Senate not going the same way as the House? The answer is that the Democrats are having to defend 26 of their seats — 10 in states won by Trump in 2016 — while the Republicans have only nine seats in play, making it the most skewed contest since 1938. True, incumbent senators from the opposition party tend to win reelection. But in North Dakota and Missouri, Democratic incumbents Heidi Heitkamp and Claire McCaskill are trailing Republican challengers. Bill Nelson is also up against it in Florida. So is Joe Donnelly in Indiana. To win control, the Democrats must hang on to all their existing seats and win two more. Watch Arizona, Nevada, and Tennessee; maybe also Texas, where Ted Cruz is battling the charismatic Beto O’Rourke. But don’t be surprised to see Mitch McConnell still in charge when all is said and done. If Senate Democrats thought their attempt to derail the confirmation of Brett Kavanaugh as a Supreme Court justice would pay political dividends in November, they could not have been more wrong. The hearings at which Kavanaugh was confronted by his accuser, Christine Blasey Ford, backfired spectacularly as men — and many women — all over the American heartland sided with Kavanaugh. So what can we expect if the Democrats do win the House? Of course, there may be no stopping the polarization. With no meaningful changes to the way Facebook, Google, and Twitter operate, American voters are just as exposed as they were two years ago to a barrage of fake news, extreme views, and targeted ads. The difference is that the Democrats have learned their lesson and are now unabashedly waging the info war — big data, bots, and all. If elected, “woke” progressives like Alexandria Ocasio-Cortez fully intend to bring the #Resistance and #MeToo to Washington. Trump’s impeachment will be top of their agenda. Yet there is another scenario. Unless they do much better than expected, the left will not be able to prevent the veteran Californian Democrat Nancy Pelosi being reelected as speaker of the House. She loathes Trump, no doubt. On the other hand, the more Trump talks about imposing tariffs on China or passing an infrastructure bill, the more like an old Democrat he sounds. Moreover, Pelosi has been around long enough to remember what impeachment did for Bill Clinton: his approval rating — already quite high at the time of the November 1998 midterms, as we have seen — rose to 73 percent the week he was impeached. Midterms may be more predictable than most things in politics. Predicting what comes after Tuesday’s votes are counted is a whole lot harder.